The complete program of the 2017 edition of Europa in Versi is now available here. 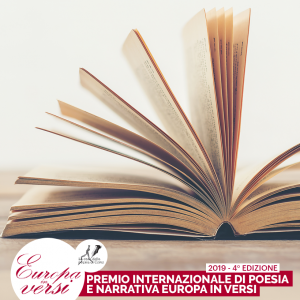 We would like to particularly signal one of the appointments that had the most success during previous editions - and that will be repeated this year as well: the Poetry Workshop. During the Festival aspring poets will be able to ask an opinion on their verses to the internationally renowned writer and poet Mario Santagostini. While waiting for the Festival, we encourage you to participate in the International Award linked to it!